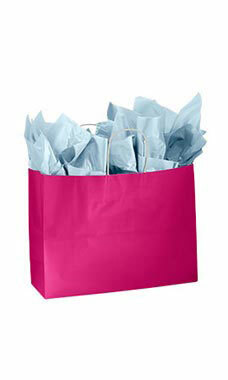 Large Cerise Glossy Paper Shoppers are the perfect way to add a touch of upscale packaging to your retail store. Featuring a bold glossy finish with a white interior these shopping bags are perfect for any boutique or retail store. Add tissue paper and ribbon and you instantly have a gift bag. Sold in cases of 25 bags.